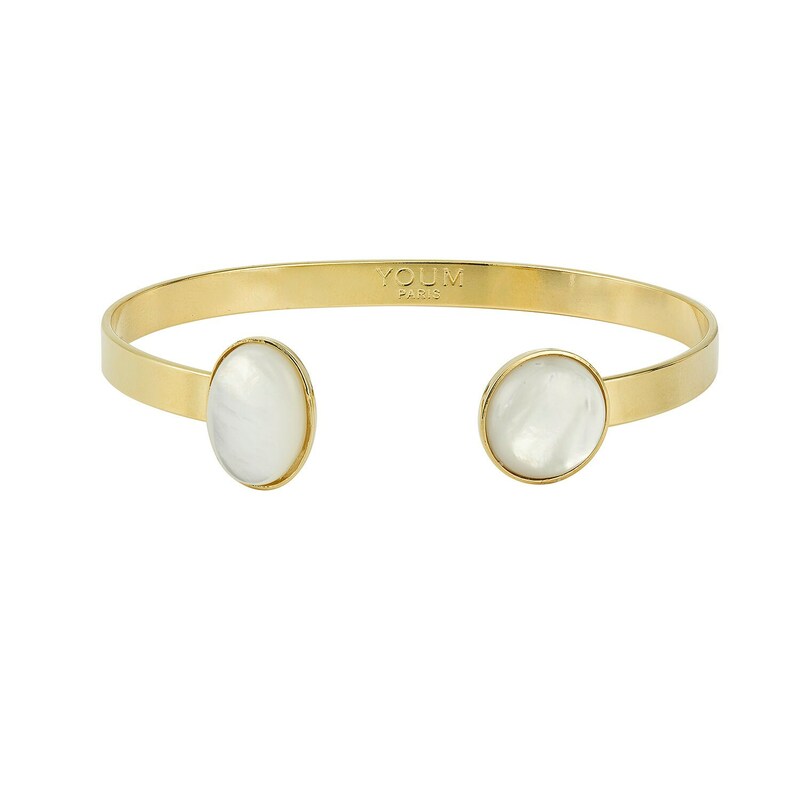 Bracelet in brass with a 24 karat gold finish and two mother-of-pearl gemstones. 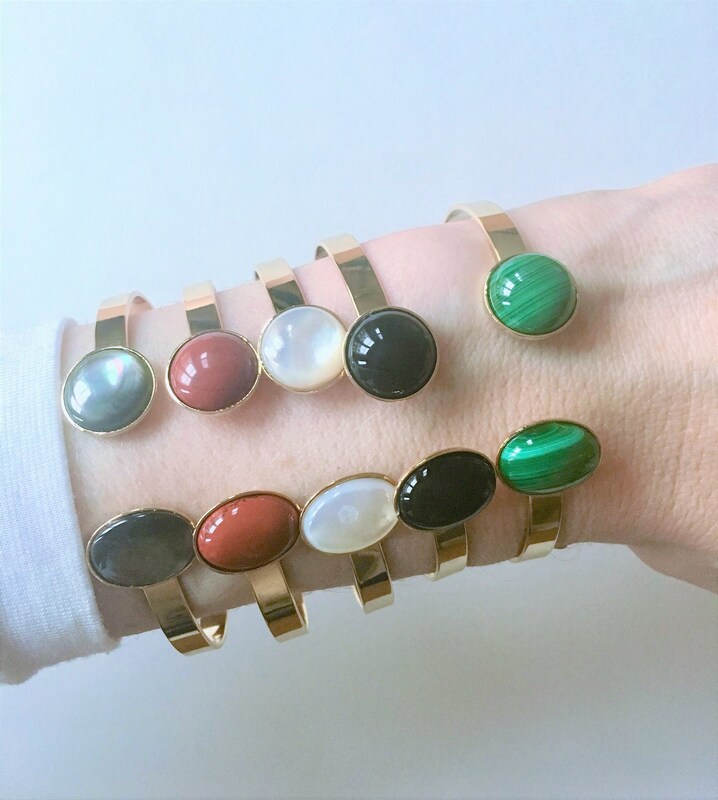 Each mother-of-pearl stone is unique. Bracelet sold by the unit. 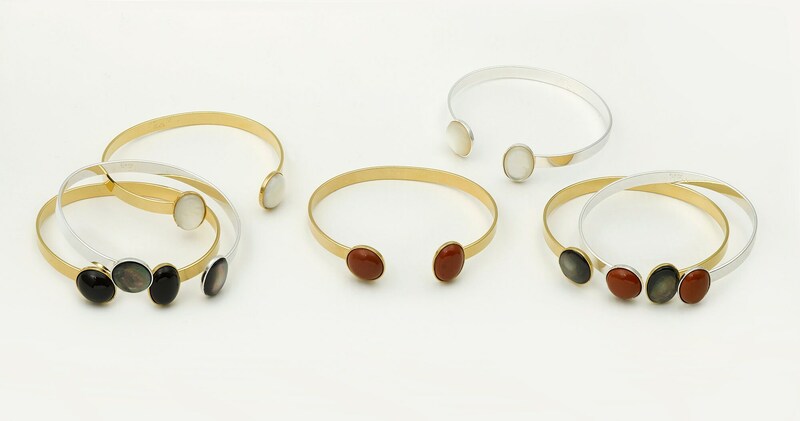 The bracelet can be worn alone or together with other bracelets in the range.